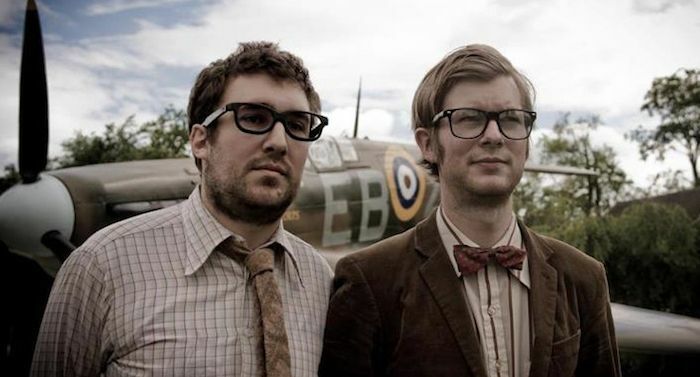 After a sell-out UK tour already behind them in 2015, Getintothis’ Adam Lowerson has the news of Public Service Broadcasting’s upcoming rescheduled O2 Academy show. Highly acclaimed duo Public Service Broadcasting have announced an Spring UK tour, including a date at Liverpool’s O2 Academy on February 10. The run of eight dates follows on from a sell-out UK tour back in 2015 in support of their latest album The Race For Space. 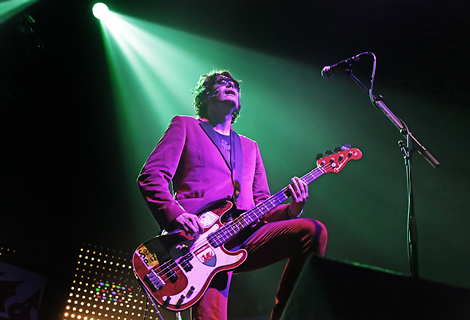 The show sees the two-piece return to the city following their support slot with the Kaiser Chiefs at the Echo Arena earlier in 2015. Public Service Broadcasting, who describe themselves as ‘on a quest to inform, educate and entertain audiences around the globe‘, have become well known for their unique live performances, which sees their public information film sampling style come to life with the visual aid of archive footage and propaganda beamed through vintage televisions and projections, making for a stunning live show. 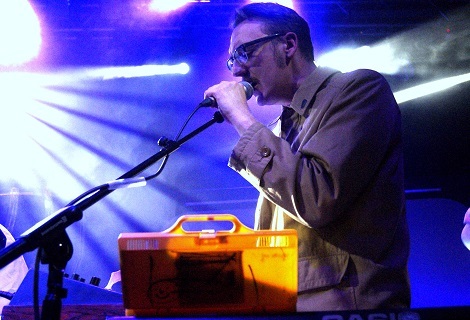 The Race For Space, which was released in February 2015 to rave reviews across the music press, is the band’s second LP after their 2013 debut Inform-Educate-Entertain, and achieved relative chart success by reaching number 11 in the UK album chart. Ahead of the tour later this year, the duo made up of J. Willgoose and Wrigglesworth are set for a busy summer of festivals, including slots at Latitude, Green Man and a Glade stage headline slot at Glastonbury. Tickets for the rescheduled O2 Academy show on February 10 are now sold out. UPDATE: All We Are have been added to the date as support.